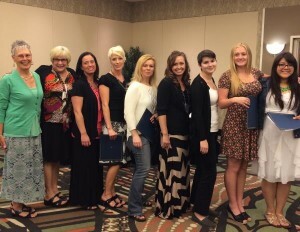 ST. GEORGE — The St. George chapter of the American Association of University Women is awarding scholarships to 13 women who are attending, or will attend, Dixie State University. The St. George chapter of the AAUW chose the recipients after evaluating candidate interviews and essays, and reviewing grade point average and attendance records for high school candidates. “More than a competition, the selections are a confirmation of young women whom we believe deserve to be encouraged, assisted and guided in reaching their potential,” said Shannon Andersen, who co-chairs the Association’s scholarship committee with Katy Peterson. The previous winners category reflects a determination by the St. George AAUW to see them through. A total of $16,000 raised during the past year through fundraising events by branch members, individual donations and corporate sponsors will be distributed. All of the scholarship recipients are current or soon to be students at Dixie State University. The scholarship luncheon takes place May 4 at the Courtyard Marriott and is open to the public. The American Association of University Women is the nation’s leading voice promoting equity and education for women and girls. Since its inception in 1881, AAUW members have researched and taken positions on the fundamental issues of the day: educational, social, economic and political. The AAUW St. George Utah Branch, founded in 1981, is an extension of the National AAUW. Its mission is to help advance equity for women and girls in Utah through advocacy and education. AAUW St. George Branch is a nonprofit organization. Founded in 2013 the Women’s Resource Center is dedicated to serving all female college students and to facilitate access to resources available; mentoring, and support for women across disciplines. It organizes campus events that cater to the female student population and works to connect them with other like-minded organizations and professionals.